An International Planning Support consultancy firm based in Lochem, the Netherlands. Plansup provides support to governments, research institutes and businesses in the field of environmental planning and footprint analyses so that they can maintain a sound environment for future generations. Over the last 12 years Plansup has carried out numerous international projects related to an assessment of environmental loss on a regional, national and provincial scale. Plansup believes that the involved countries and collaborating organizations got a better understanding of the drivers behind the loss and the resulting impact on the environment over the last years. The idea is that this understanding will gradually result in improved environmental policies that will slow down environmental degradation in the world. Wilbert van Rooij of Plansup downscaled the global GLOBIO methodology developed by the Netherlands Environmental Assessment Agency (PBL) so that the method can also be implemented at a more local scale. But this method could still not be implemented at company scale. In order to achieve this, Plansup has developed a new environmental footprint methodology in collaboration with PBL and Wageningen Environmental Research (Alterra). The method has been successfully tested for a few companies and one agricultural sector. But Plansup would like to get a larger outreach of the footprint methodology so that companies all over the world will monitor their impact on nature and try to reduce it. Plansup wants to realize this mission within the next five years by setting up collaboration with international platforms, research institutes, government agencies and businesses. This can be achieved by joining these platforms, providing training in environmental assessments to staff of the related organizations, and by involvement in initiatives that aim to reduce environmental impact of governments and businesses. The one person company was established in march 2013 and is lead by Ir. Wilbert van Rooij. Wilbert worked earlier as senior consultant land use and biodiversity modelling at the Netherlands Environmental Assessment Agency (PBL) and as senior consultant at the non-profit organization Aidenvironment. Before this work he was an advisor at several consultancy bureaus. Wilbert has a MSc in Tropical forestry. For an overview of skills and expertise see the Expertise page of this website. Over the last three years Plansup developed a methodology to calculate the biodiversity footprint of companies in collaboration with PBL and Wageningen Environmental Research (Alterra). Several case studies have been implemented leading to new insights regarding the effectiveness of biodiversity friendly measures, and a better understanding what pressures have the largest impact and in which part of the production chain. 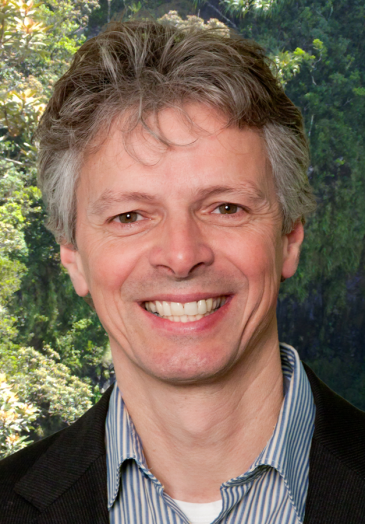 Wilbert van Rooij played a major role in down-scaling the GLOBIO3 methodology of PBL and the development of the Biodiversity Footprint methodology. He was involved with the implementation of this technology at national, provincial, sectoral and finally also at company scale. He carried out assessments in many countries. 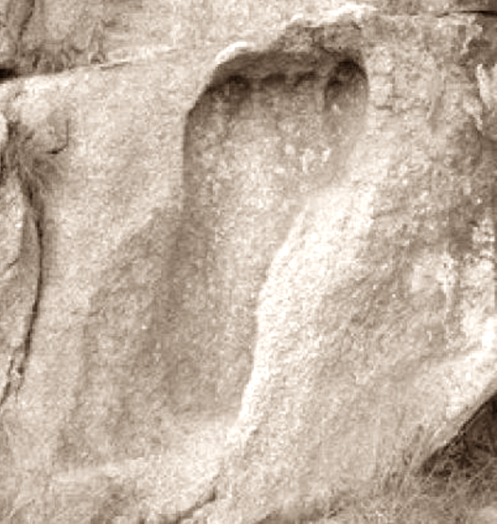 An overview of national, sub-national and company footprint assessments is provided below. Currently Wilbert is also the General manager of SarVision, a company in Wageningen specialized in systematic satellite and airborne monitoring and mapping systems for environmental and natural resource management. Plansup has a large track record in environmental assessments all over the world, including Arctic regions, in order to support national and local policy makers. Recently biodiversity footprint analyses for several companies were added to the track record (see further below). 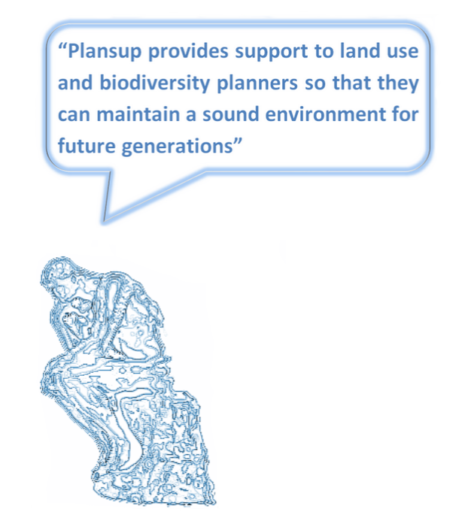 Plansup has also a vast experience in capacity building on decision support tools for land use and biodiversity planning. Plansup implemented several company related biodiversity footprint analyses. Plansup organizes and facilitates tailor made workshops and training courses all over the world. Over the last 10 years international workshops, training courses and assessment projects have been conducted in several countries all over the world. The capacity building projects focus on scenario building, land use planning and biodiversity assessments. So far, more than 100 participants from over 20 countries have received training. The level of the participants varied from high level officials to technical staff of governmental and non governmental organizations. Plansup provides also support in GIS and Remote Sensing projects. For example a GIS analysis has been carried out for Milieudefensie regarding possible deforestation within RTRS soy plantations in Argentina. Another example was an GIS analysis of potential electric car charge stations locations based on existing spatial data and criteria regarding potential and existing electric car users. A web based digital atlas was made as support tool for policy planners of the two municipalities. Plansup also specialized in GIS analyses for charging pole locations in Dutch municipalities. Plansup is affiliated with Aidenvironment which enables a wide range of services including services on sustainable value chains, climate change and ecosystems, and sustainability analysis and tools. Plansup also jointly implemented projects in Indonesia with the Asian office of Aidenvironment. Plansup is also closely collaborating on various projects with the Netherlands Environmental Assessment Agency (PBL). A complete overview of projects with PBL and other partners can be viewed in the CV of Wilbert van Rooij. WWF, UNEP, CBD, ADB, IADB, DFID, GIZ, DGIS, CDKN, UNESCO-IHE. PBL, WNF, Nuffic, BUZA, Wageningen Environmental Research (Alterra), Wageningen University, VU University Amsterdam, University of Utrecht, ITC, NCEA, Deltares, DHV/Haskoning, Oranjewoud, Euroconsult Mott MacDonald, CREM, Milieudefensie, IDgis. Plansup has also contacts with a large number of national organizations (governmental, NGO’s, Universities) in more than 20 countries all over the world (see below). A list of contacts is shown here. Plansup developed in collaboration with Wageningen Environmental Research and PBL a methodology to determine a company’s biodiversity footprint. Schut Papier (paper) and for the Dutch dairy sector. Colombia, Ecuador, Peru, Nicaragua, Guatemala, Honduras, El Salvador, Belize, Panama, Mexico, Norway, Nicaragua, Kenya, Mozambique, Zambia, Cambodia, Laos, Myanmar, Thailand, Vietnam and Mongolia. The assessments have been carried out with staff of governmental and environmental organizations from these countries. Provincial assessments have been carried out in Yunan (China), Quang Nam (Vietnam),West Kalimantan (Indonesia), Finnmark (Norway), Laponia (Sweden) and Nenets Autonomous Okrug (Russia). For contact information and directions to Plansup click here.